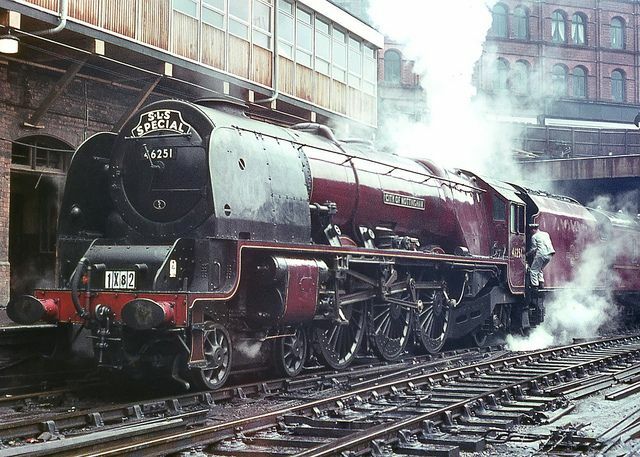 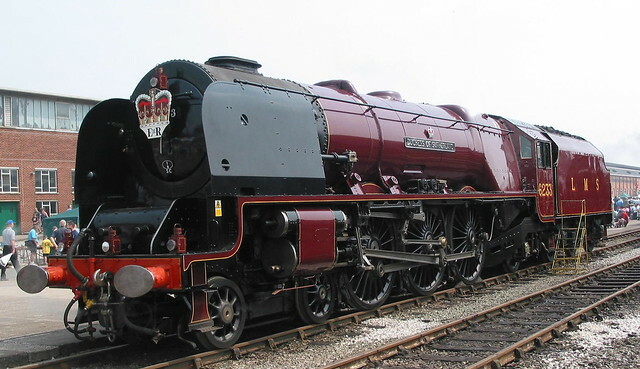 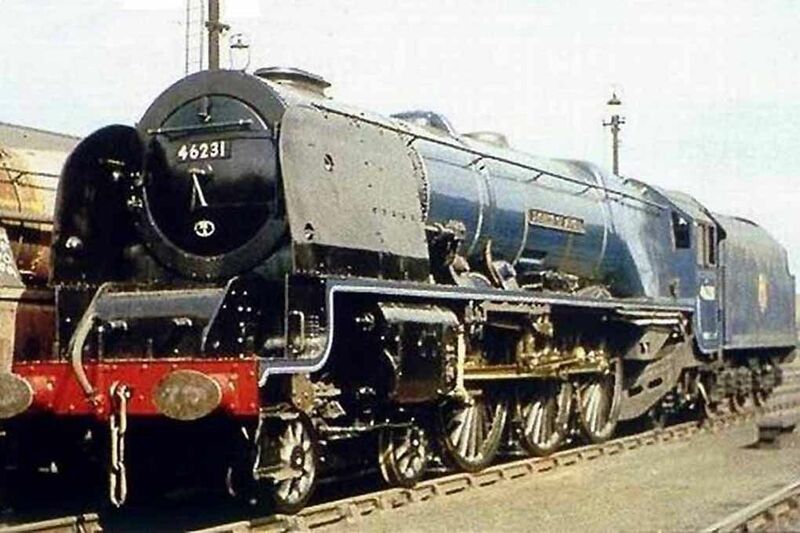 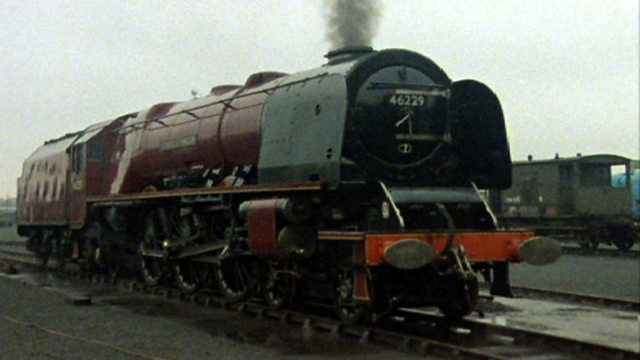 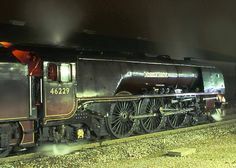 46231 'Duchess of Atholl' Coronation Class 4-6-2. 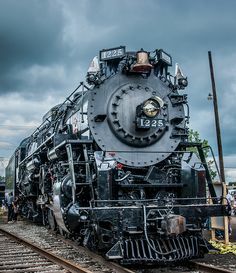 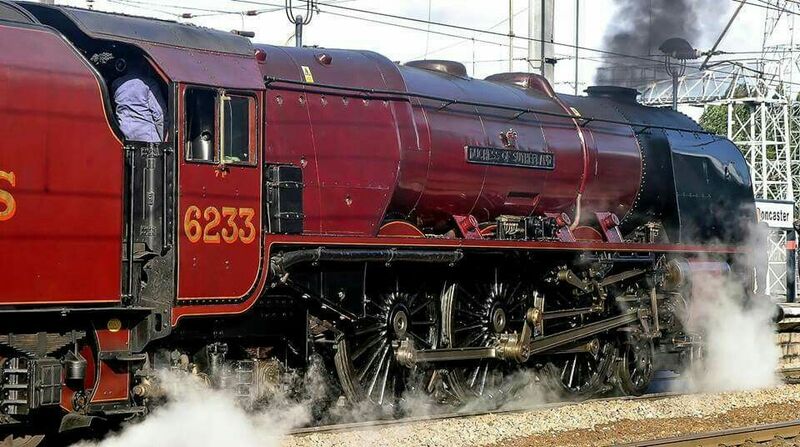 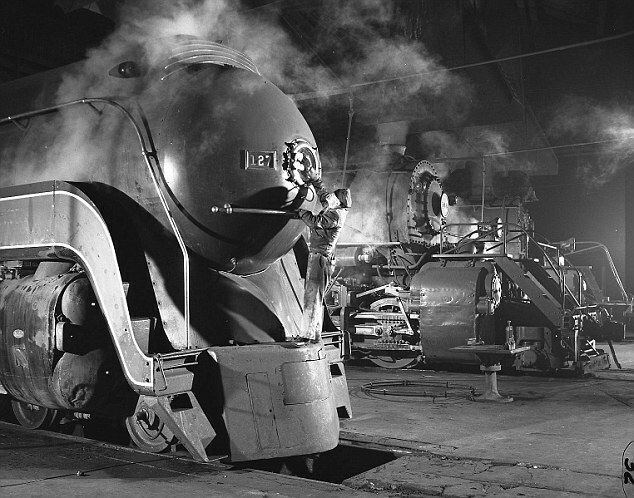 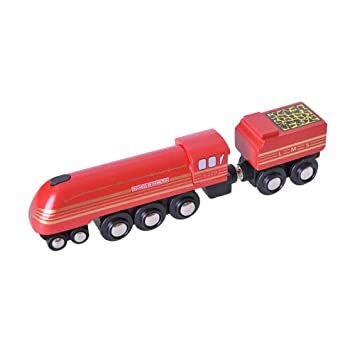 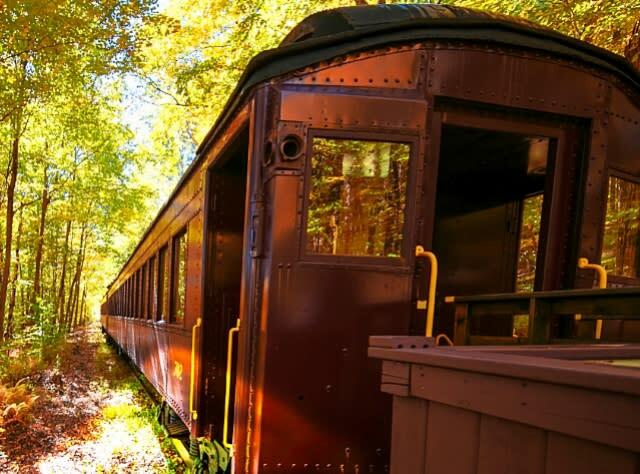 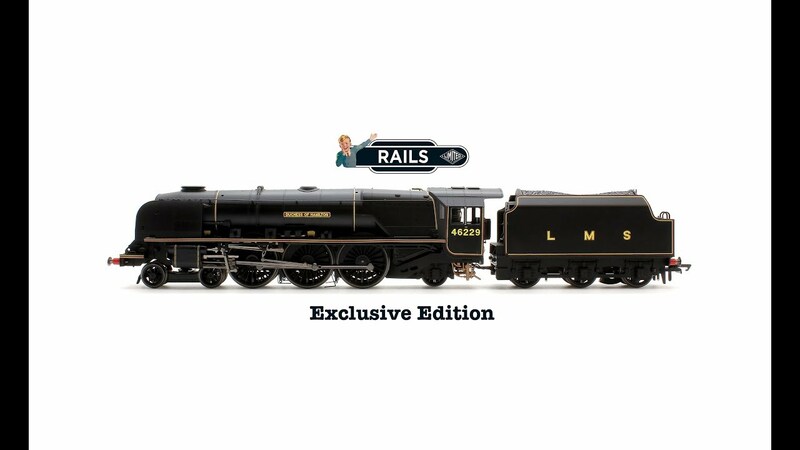 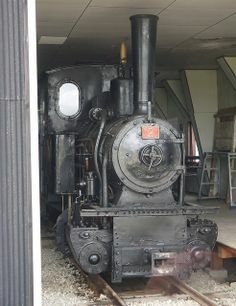 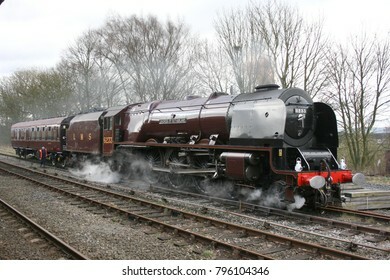 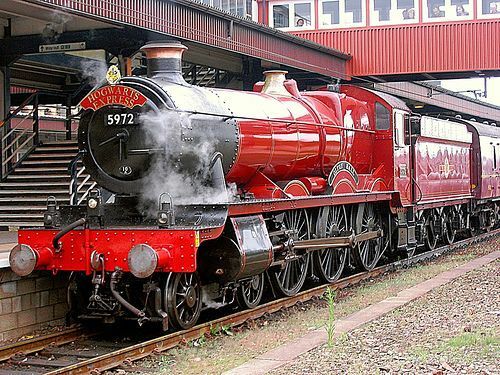 Steam Locomotive. 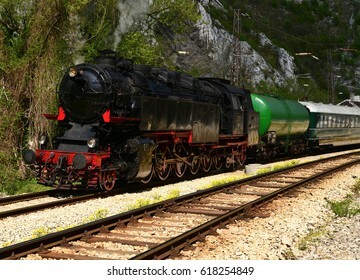 Паровоз. 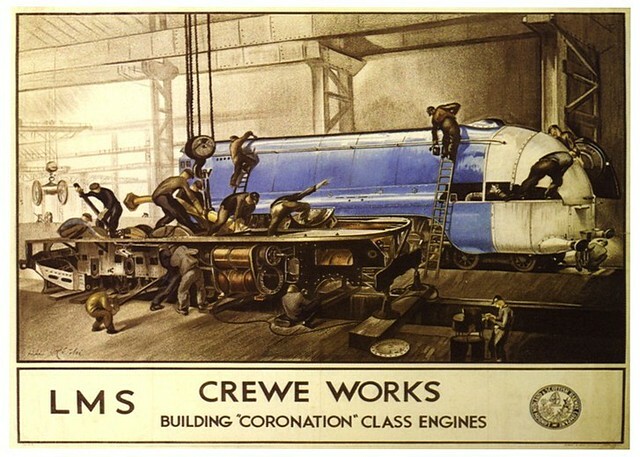 A line up of three Princess Coronation class Pacifics at Crewe Works in 1937. 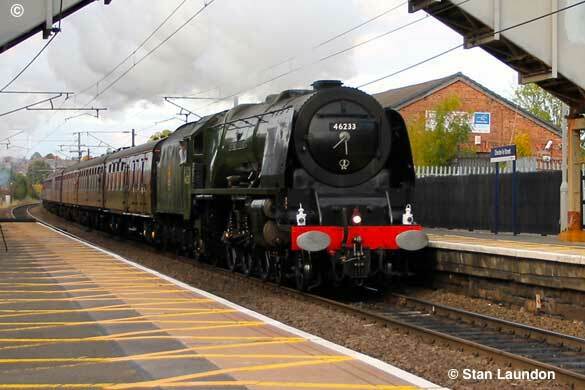 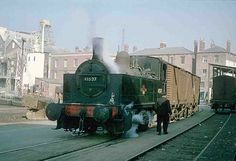 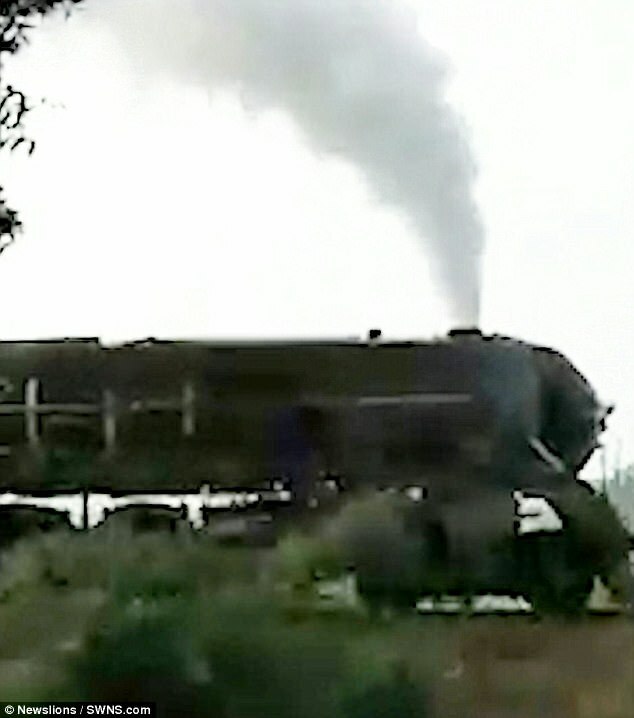 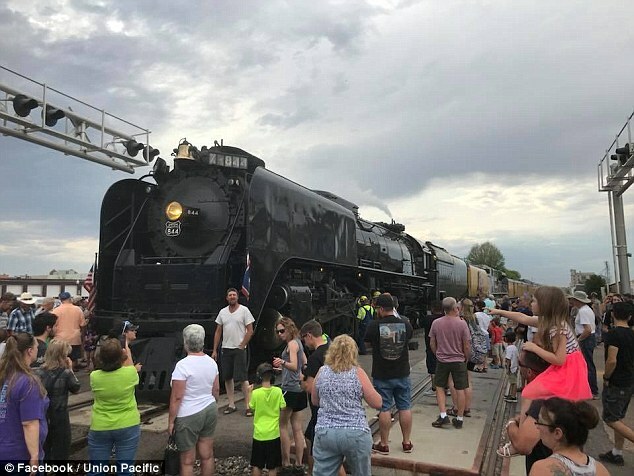 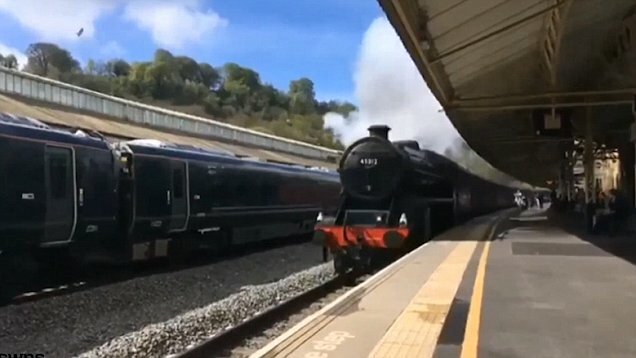 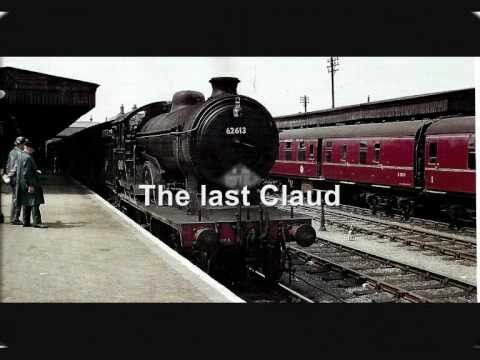 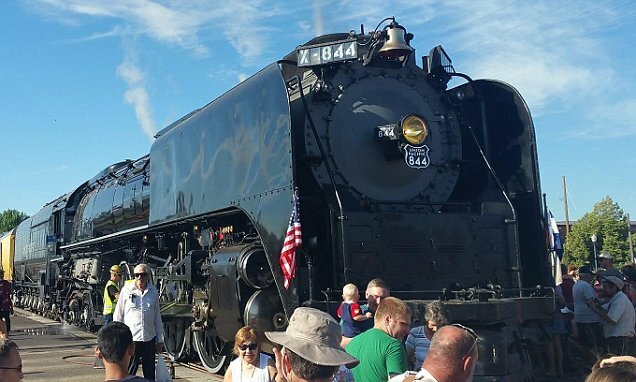 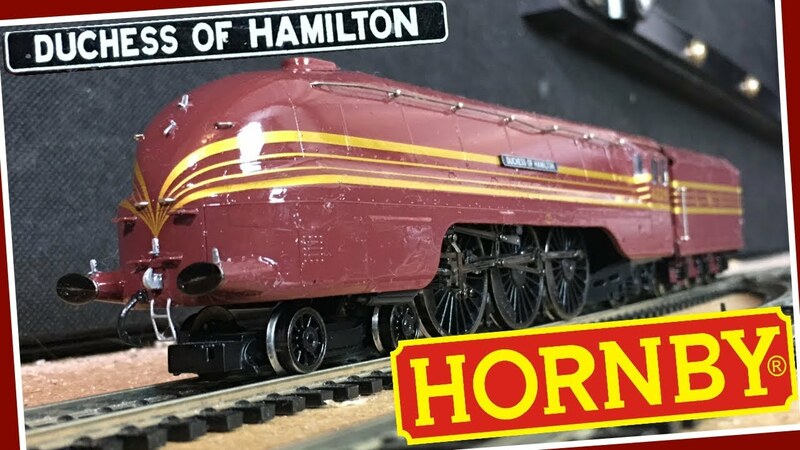 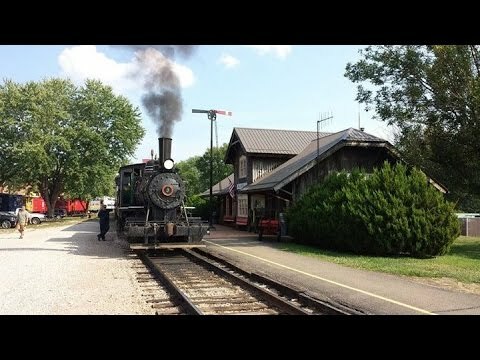 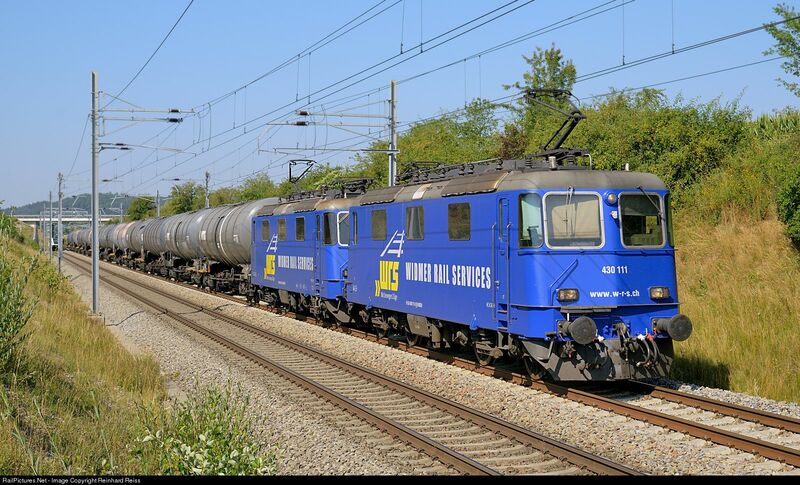 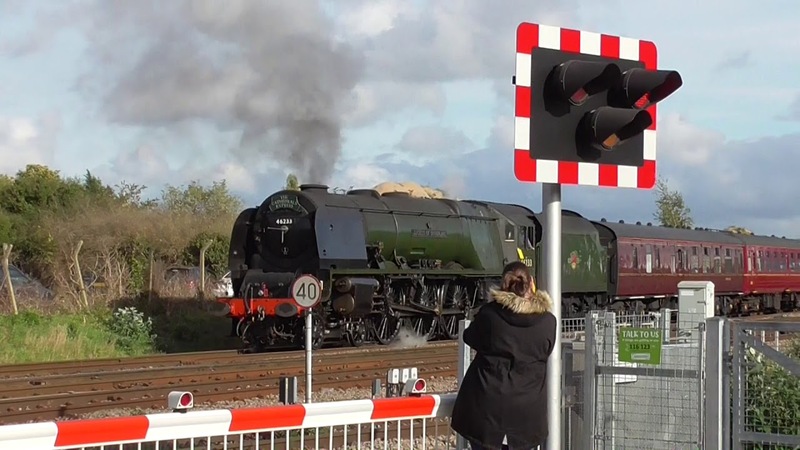 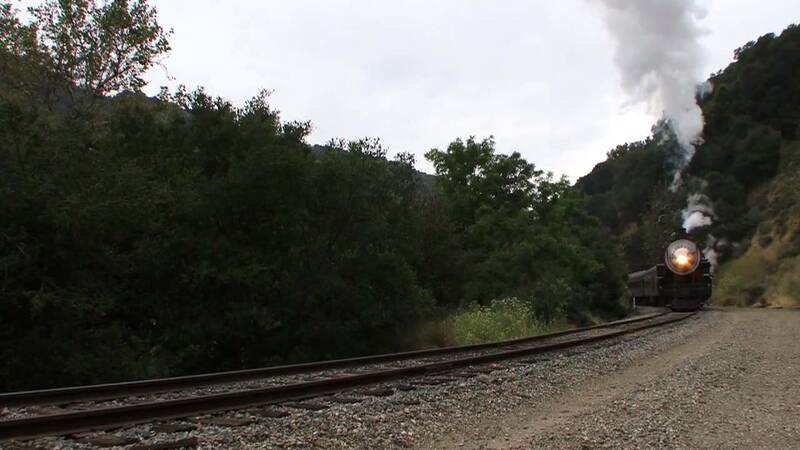 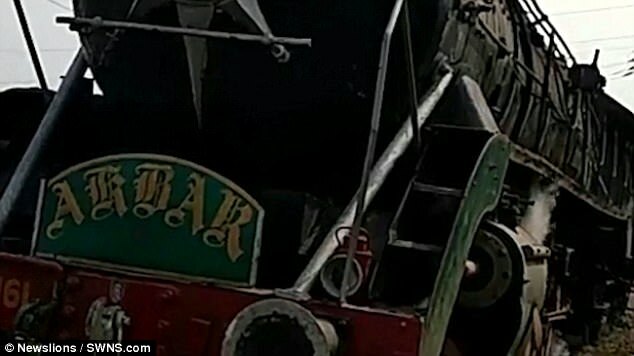 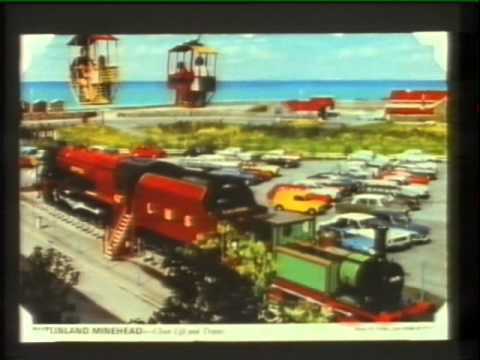 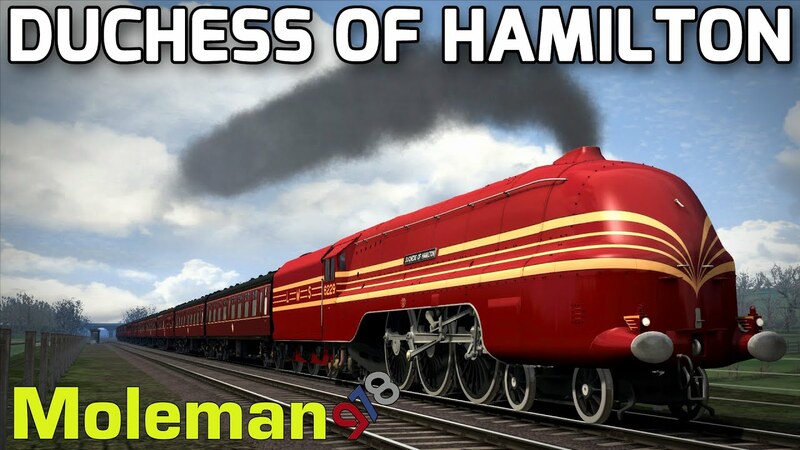 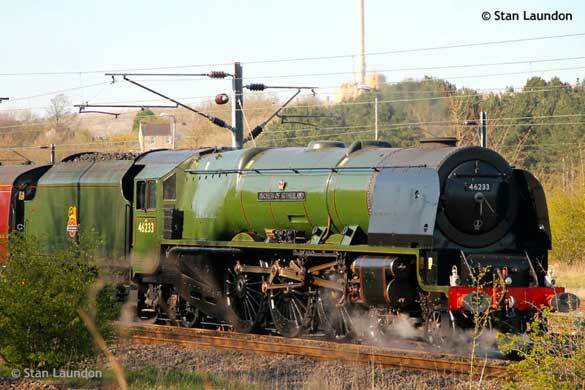 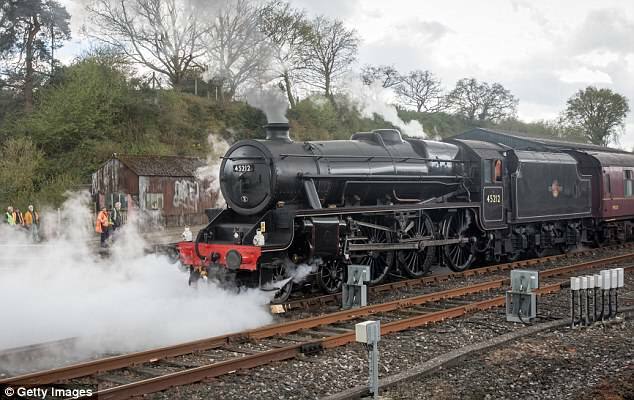 Historic Steam Locomotive Overworked And Unable To Pull Train Up Hill, Needs Shunter Help!! 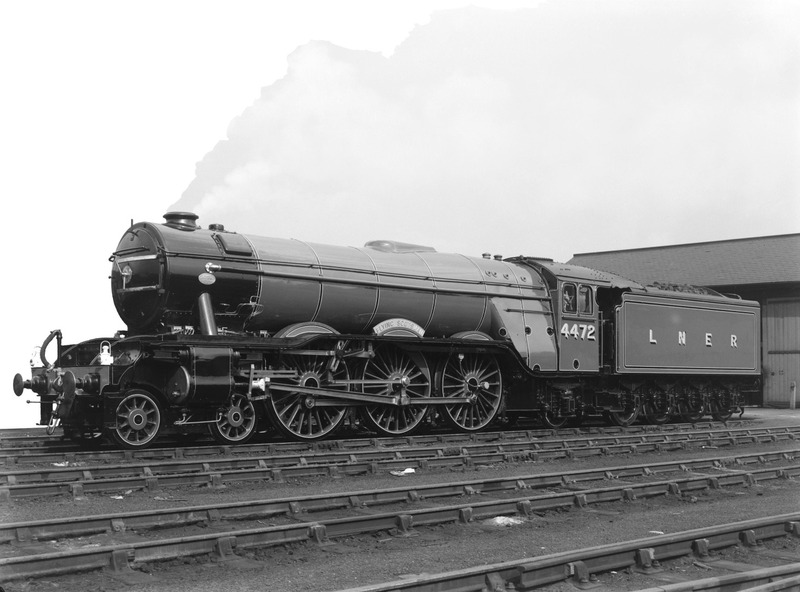 The steam locomotive and tender of the London and South Western Railway, 4-4-0 number 563, built Nine Elms 1893 and designed W. Adams. 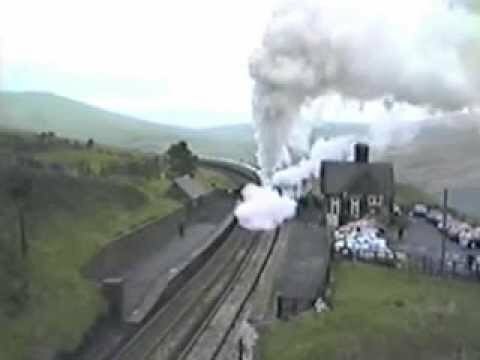 (Above) An unidentified 'Black 5' crosses a windswept Ribblehead Viaduct with the 3.40pm all stations stopper from Bradford Forster Square to Carlisle. 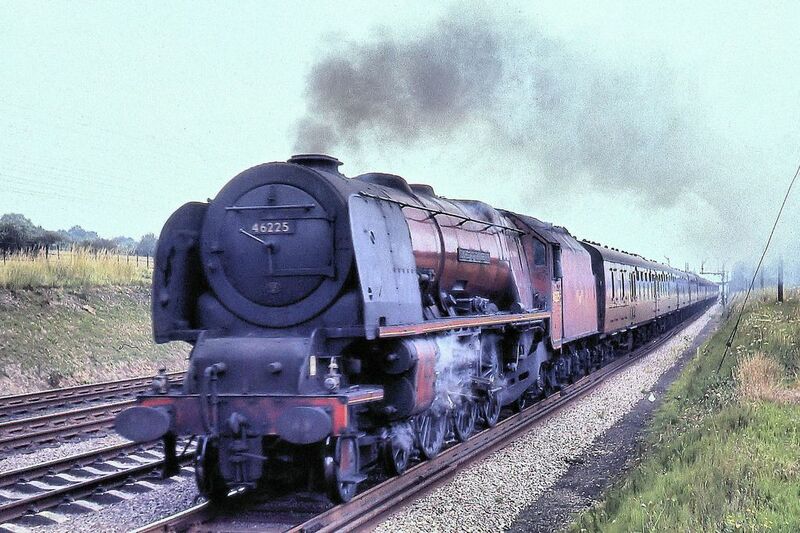 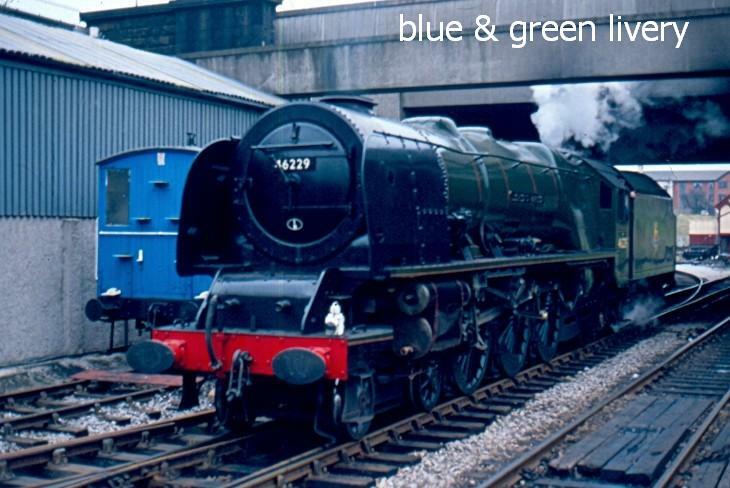 I make no secret that the A4 is one of my all time favourite steam engines. 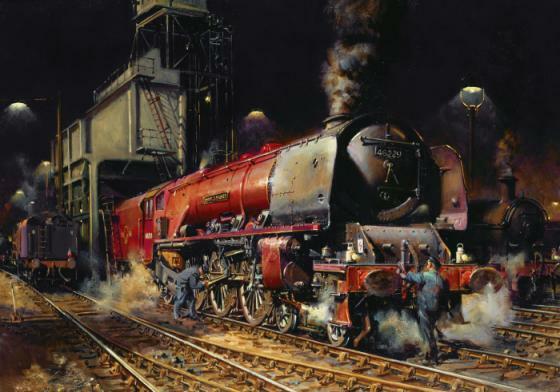 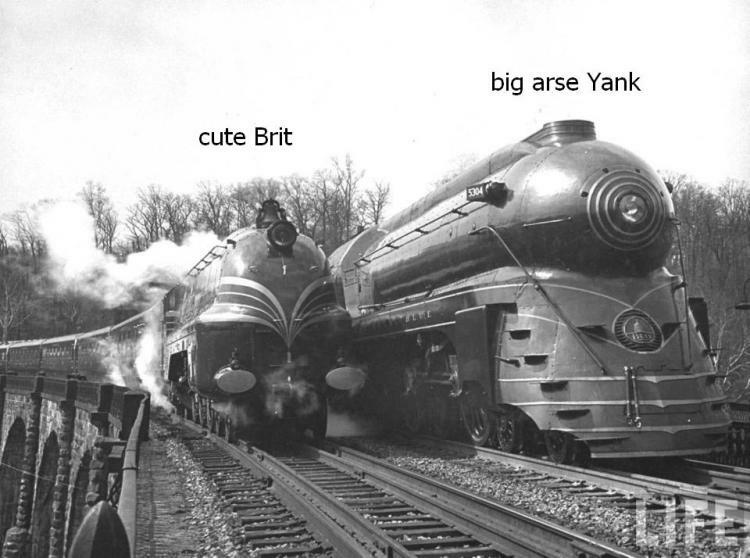 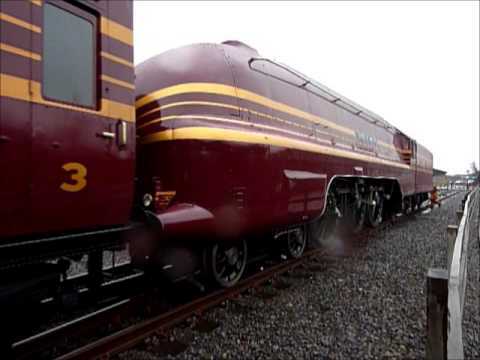 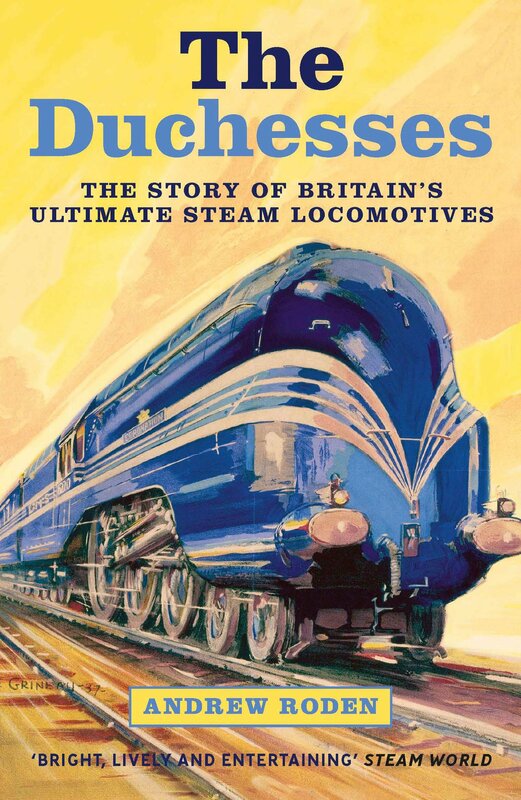 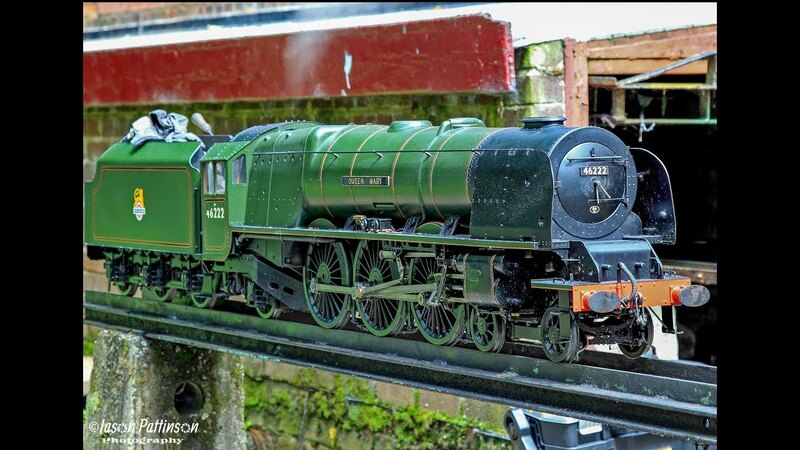 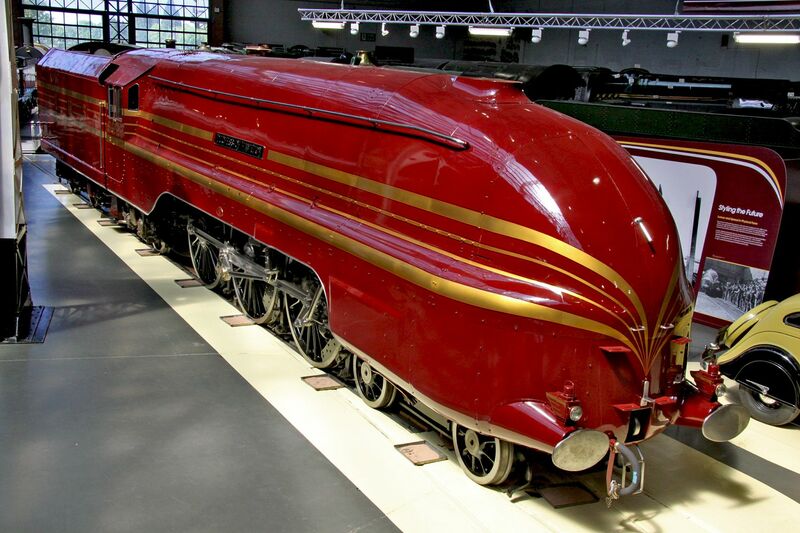 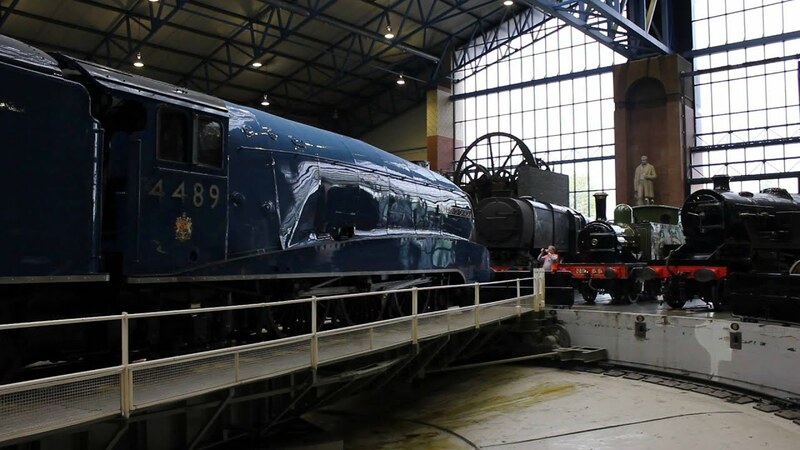 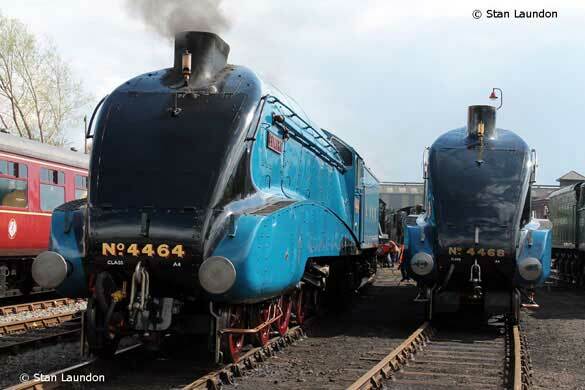 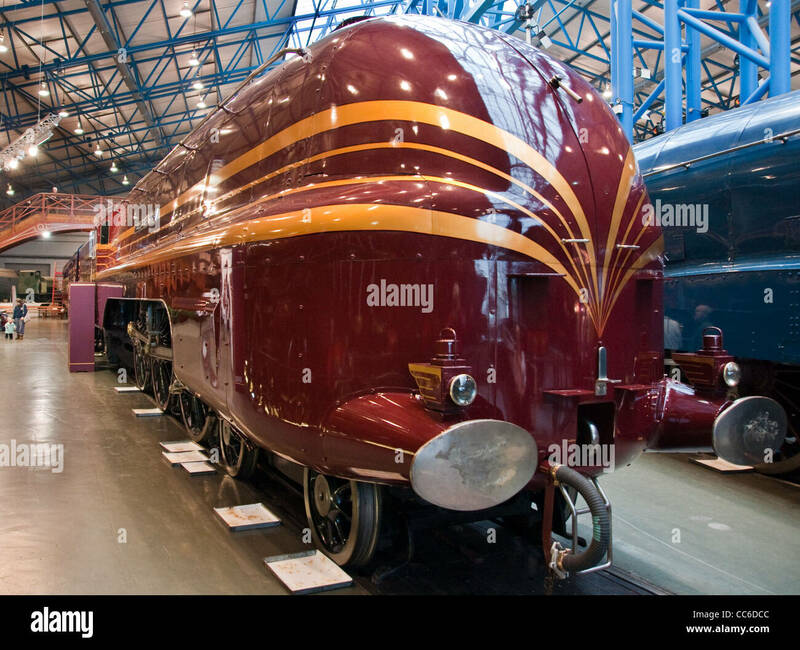 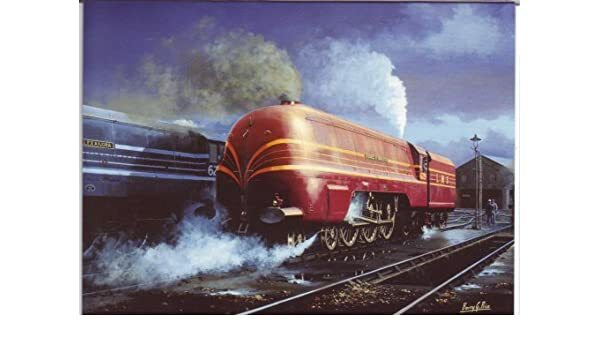 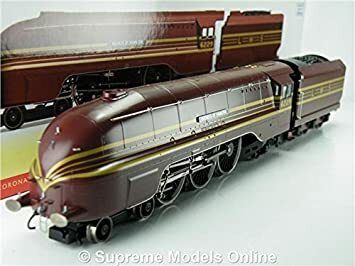 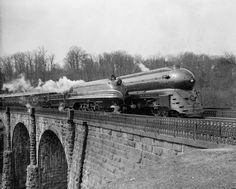 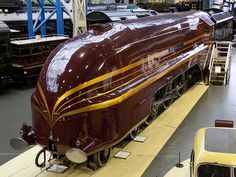 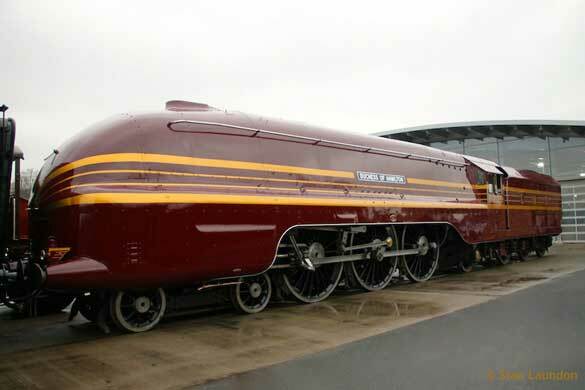 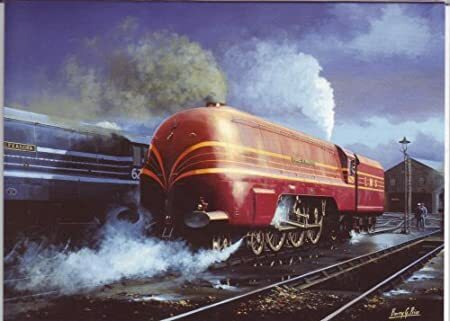 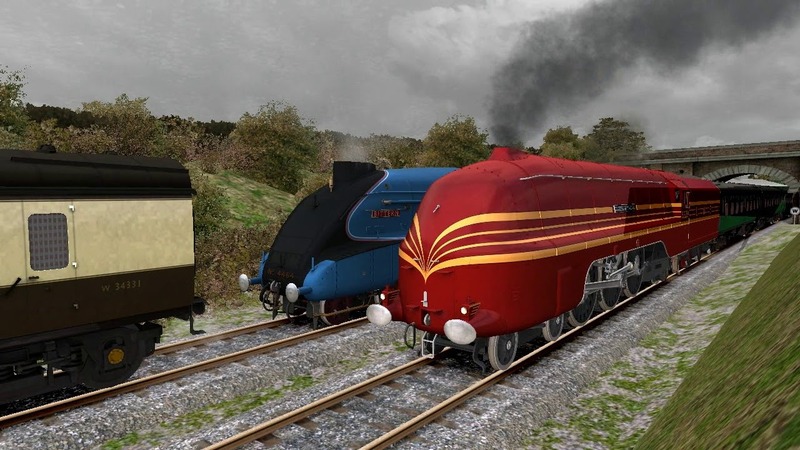 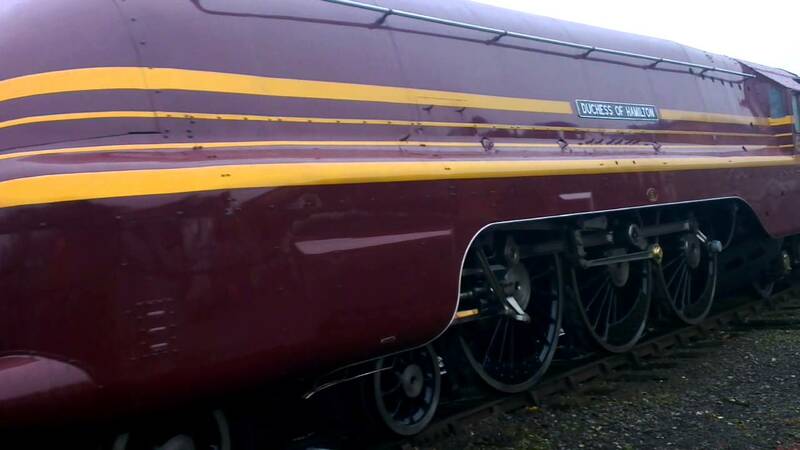 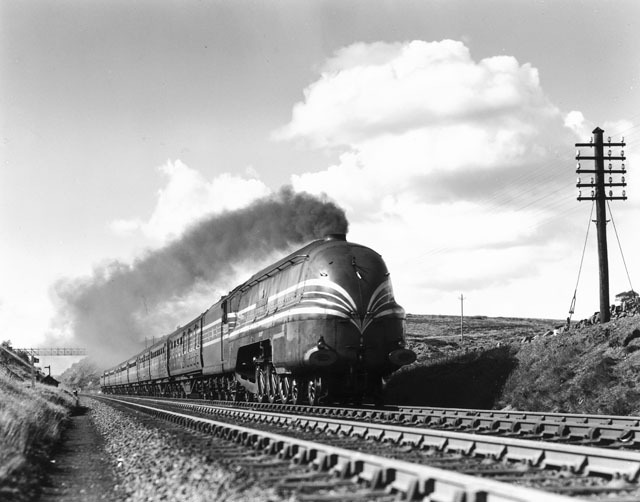 The Gresley designed A4 Pacifics here, side by side, are "Bittern" and "Mallard. 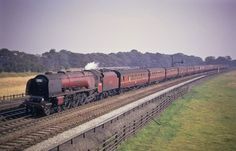 46227 Duchess of Devonshire working hard to climb to Beattock Summit in 1957. 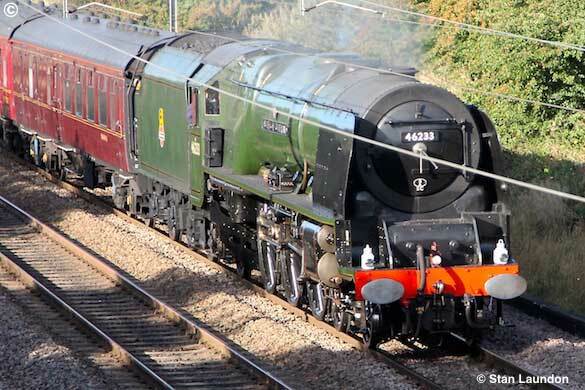 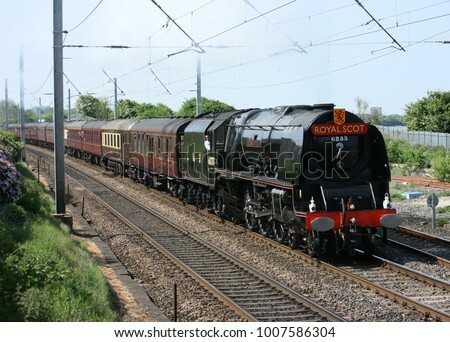 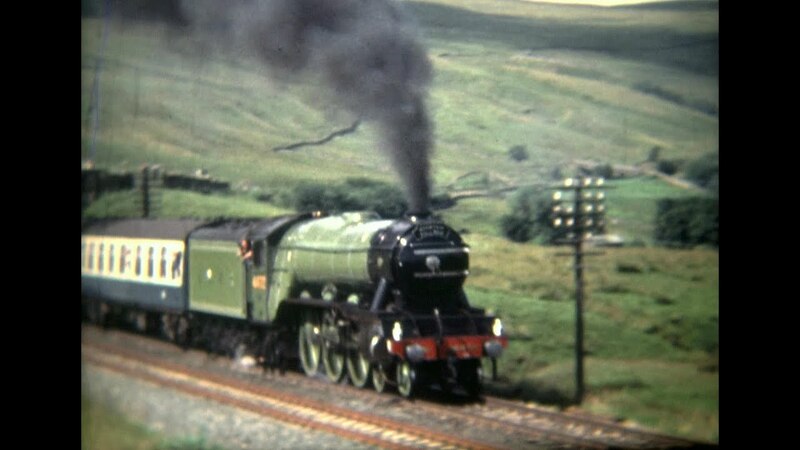 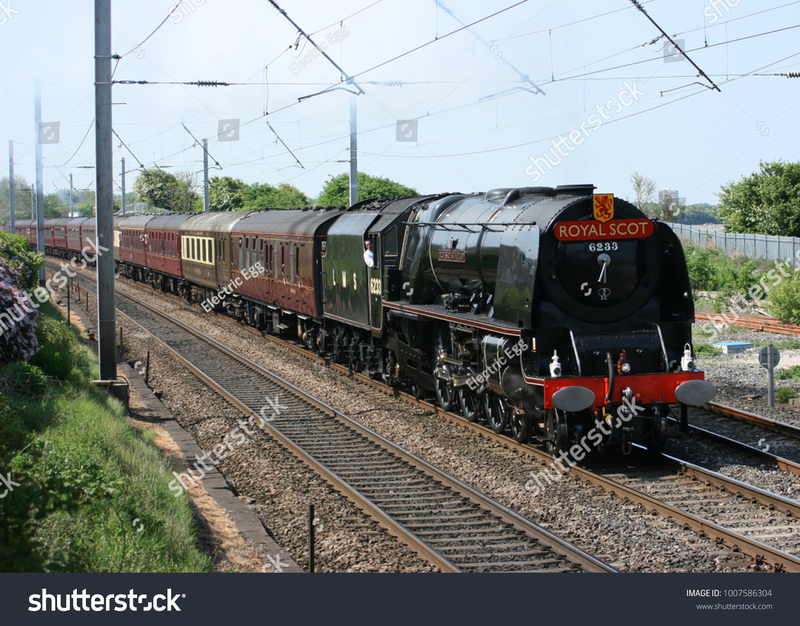 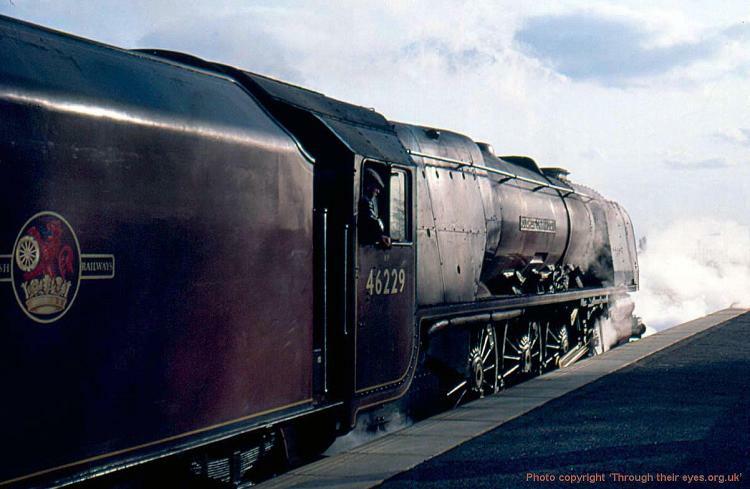 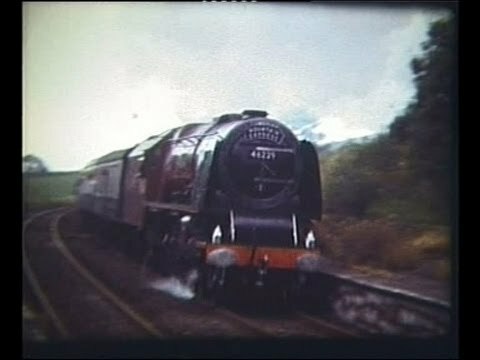 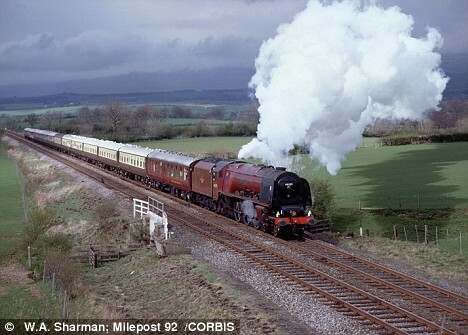 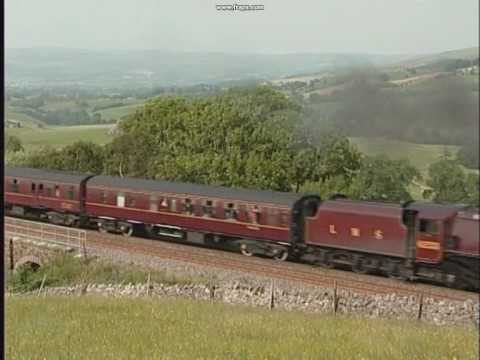 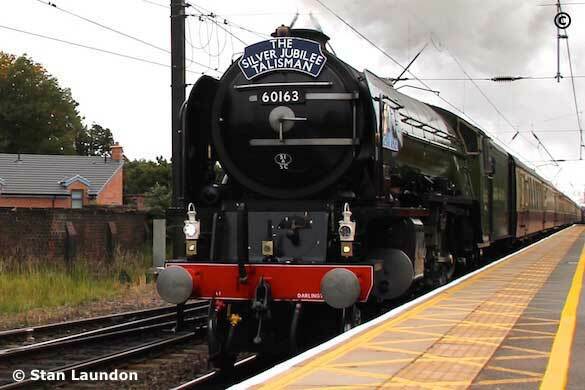 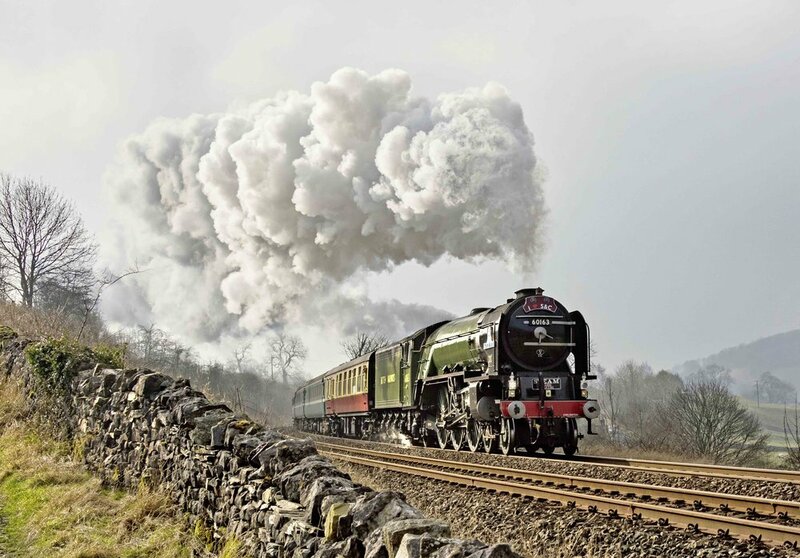 (Above) Class A3 No 4472 Flying Scotsman, heads north through Gargrave with a steam special early '80s. 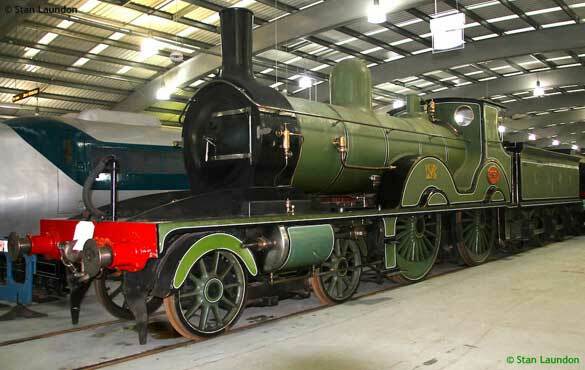 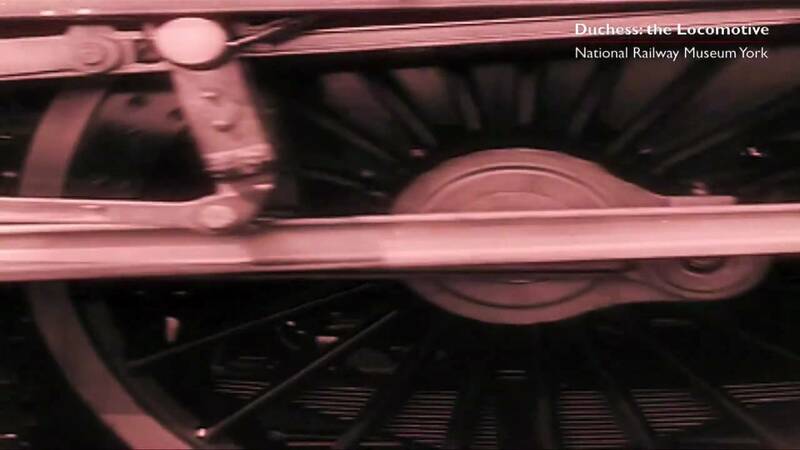 The plate went under the hammer for a whopping £51,500 at a Great Central Railway Auction in July 2009. 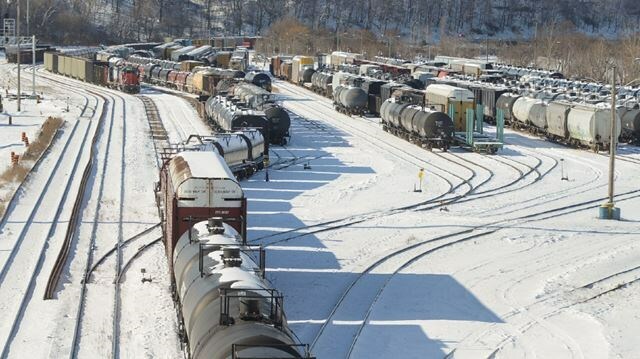 Click here to visit the GCRA's website. 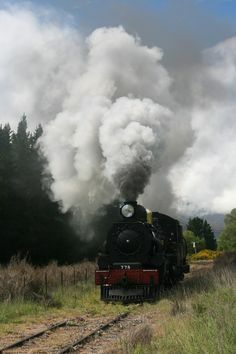 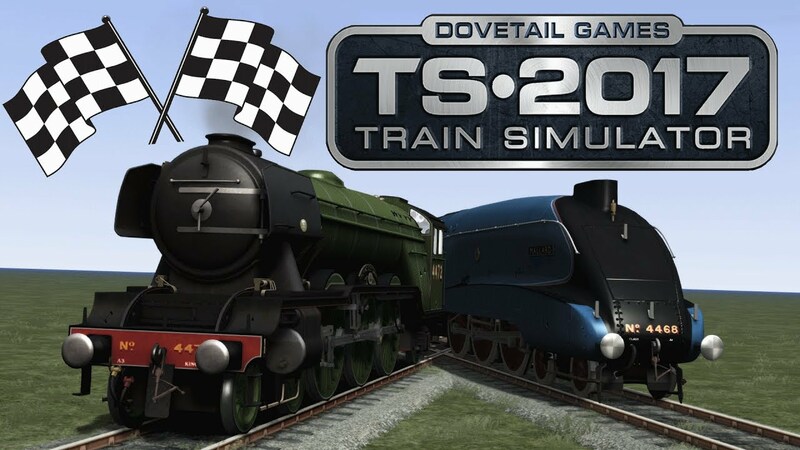 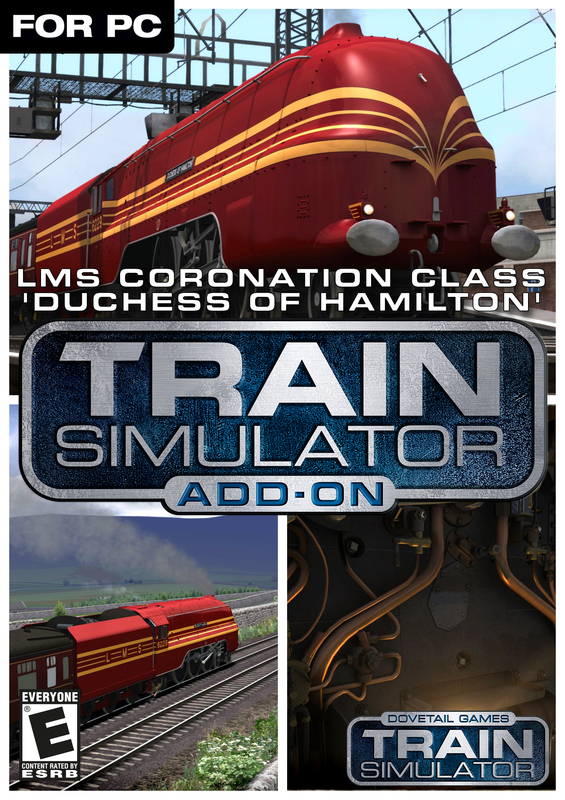 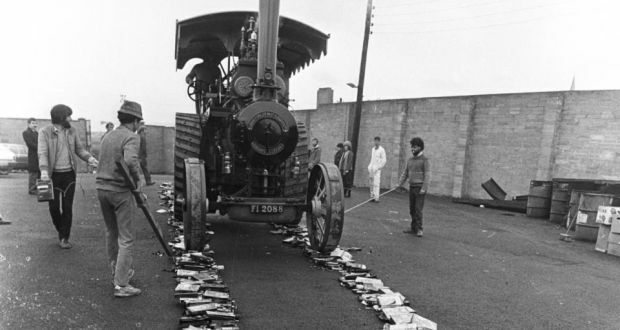 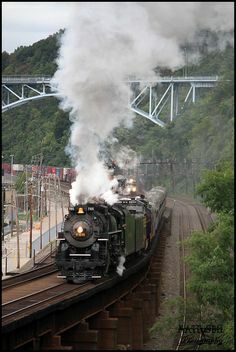 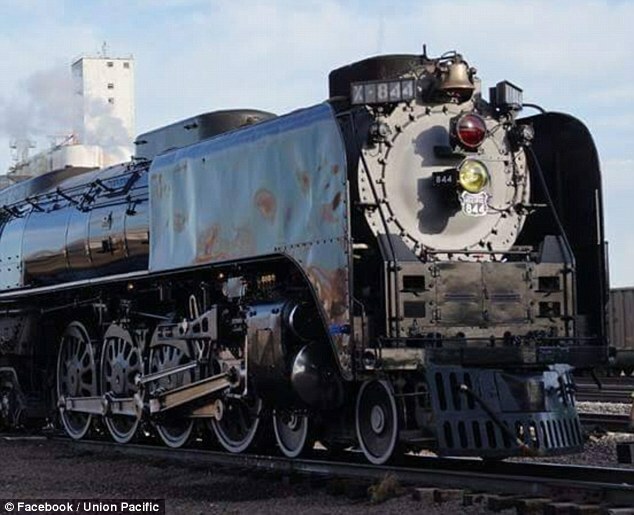 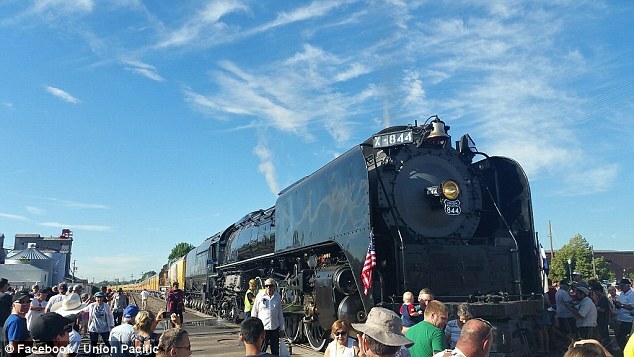 The case for 'hard-core' steam in 'Down Main' SR467.